The northern white rhino Nabiré, a 32-year-old female at the DvÅ¯r Králové Zoo, died on July 27, 2015. Today, there are only three rhinos of this subspecies left. With only three northern white rhinoceroses left on Earth, conservationists are giving up on traditional breeding efforts and turning to cutting-edge science to save this subspecies. At a meeting in Vienna from Dec. 3 to Dec. 6, researchers developed a plan to use stem cells to create fertilized rhino embryos, which will be carried by surrogate southern white rhino females. Next to go was 31-year-old NabirÃ©, a female who died of a ruptured cyst at the DvÅ¯r KrÃ¡lovÃ© Zoo in the Czech Republic in July. An infection claimed Nola, a 41-year-old female at the San Diego Zoo, in November. Now the only three remaining northern whites live at the Ol Pejeta reserve. Sudan still survives, but is too old to mount a female. And the two remaining females, Najin and Fatu, also have health problems that prevent them from reproducing the old-fashioned way. So scientists plan to collect egg and sperm cells from the last living northern whites and combine them with induced pluripotent stem cells (iPS cells). These are cells taken from the rhino's body and chemically induced to turn back the clock to an earlier developmental phase, when cells are capable of becoming many different types of body tissue. The hope is that scientists can reverse-engineer body cells into sperm and egg cells. Fertilized embryos could then be made by in vitro fertilization (IVF) and transferred into southern white rhinoceroses, the northern white's nearest relative. But there are complications to this plan: No one has ever successfully completed IVF on a rhino of any species. Every species requires its own cell-culture conditions to mimic the unique environment of the uterus, Barbara Durrant, director of reproductive physiology at the San Diego Zoo Institute for Conservation Research, told Live Science in June. 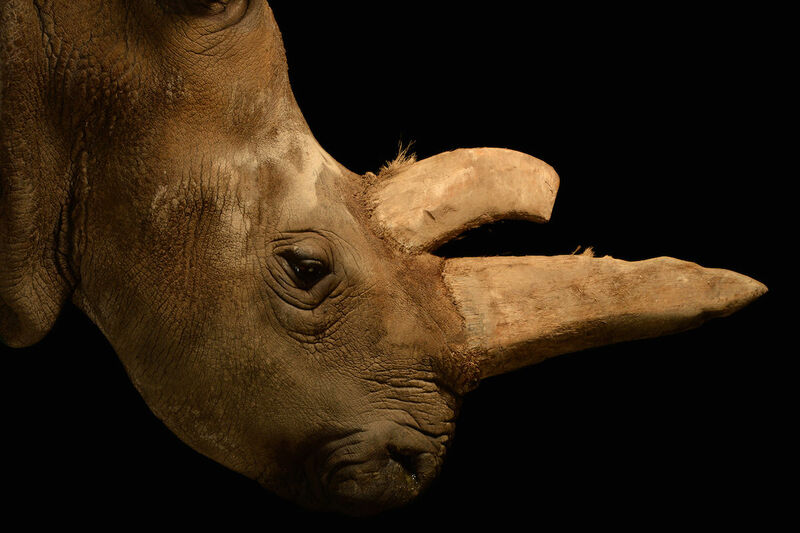 Depending on how long it takes to make the breakthroughs necessary to create rhino embryos in a lab, the species could go extinct before scientists successfully breed new individuals. One of the researchers at the Vienna meeting was Katsuhiko Hayashi, a scientist at Kyushu University, who successfully bred mice from eggs created from mouse skin cells in 2012. Researchers are now working to transfer this technology from mice to northern whites, according to a statement from the DvÅ¯r KrÃ¡lovÃ© Zoo. The Czech zoo is working with San Diego Zoo Global, Tiergarten SchÃ¶nbrunn in Austria and the Leibniz Institute for Zoo and Wildlife Research in Berlin to lead the project. A white paper on the group's progress is expected next year. © Association des Espèces menacées 2019. Tous droits réservés.